No matter what the project, experience tells us that it usually pays to leave it to the professionals. We all know that person who installed their own ceiling fan and now they are forever haunted by the constant clanking of the chain off its base. 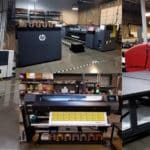 Well, the same goes for retail signage, vehicle fleet graphics, and corporate environment makeovers. 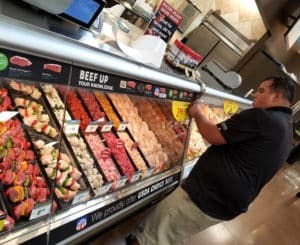 There are thousands of those horror stories out there where a retail or corporate business took it upon themselves to install signage or environmental materials and the results were anything but acceptable. 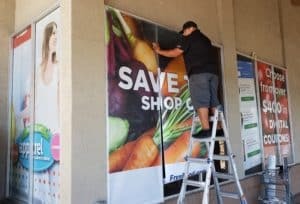 Some common mistakes made when clients have tried to install perforated window vinyl is they cut the sealer and the entire window falls from the frame and breaks on the ground. Because of the tools involved in the installation process for vehicle wraps, many mistakes can be made and irreparable damage can be done to the vehicle. Cutting or scraping the paint when trying to cut a wrap or decal is a common mistake. Heating the material too much and altering (i.e. stretching) the graphics is sometimes even done by novice installers who have been trained to watch out for such mistakes. Failure to clean the surface of the vehicle is another shortcut many make, which affects the longevity of your business’s branded fleet wrap. Similar to vehicle wraps, thoroughly cleaning the surface of a wall is necessary for a proper installation. When dealing directly with wall wraps, measurement is another key component. Failure to line up a graphic properly can ruin an entire corporate environment if the pieces do not match up. With many of these projects, the elements play a key role, whether it be rain or even too much sunlight can pose considerable challenges in the installation process. Personal injury is another danger one must be aware of. 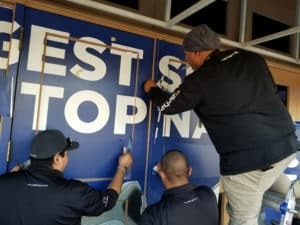 Our skilled team is completely focused on providing awesome service, especially when it comes to our specialties of retail signage/displays, corporate decor, and vehicle fleet wraps. Call us today at 866-907-8438 to learn more about our capabilities and how we can help you create and properly install your next project.